AMA has changed the way families approach exercise with a belief in children imitating what they see rather than what they are told to do by parents, so many of our parents choose to get involved, have fun and keep fit with no time away from their child. 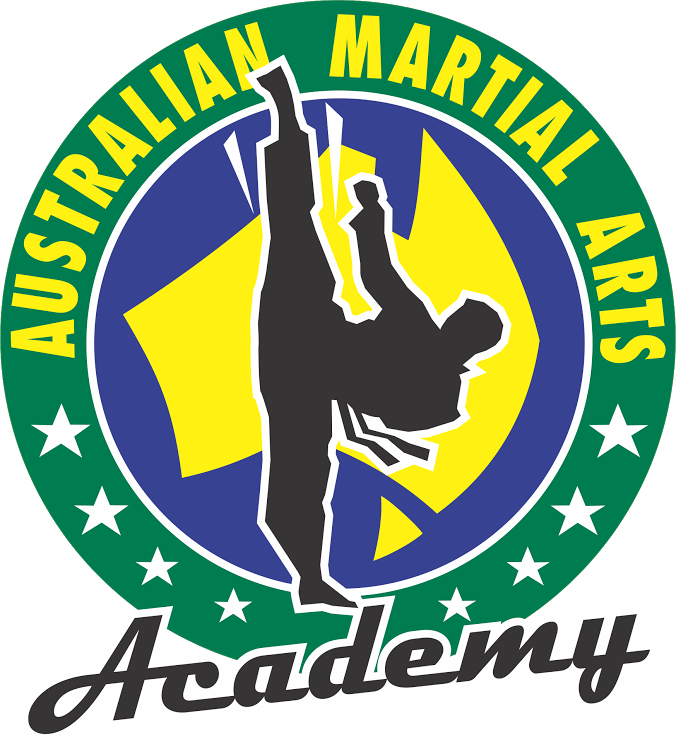 From this AMA has one of the highest enrolments of whole families, whom have the ability for family members of all age groups to train at the same time. 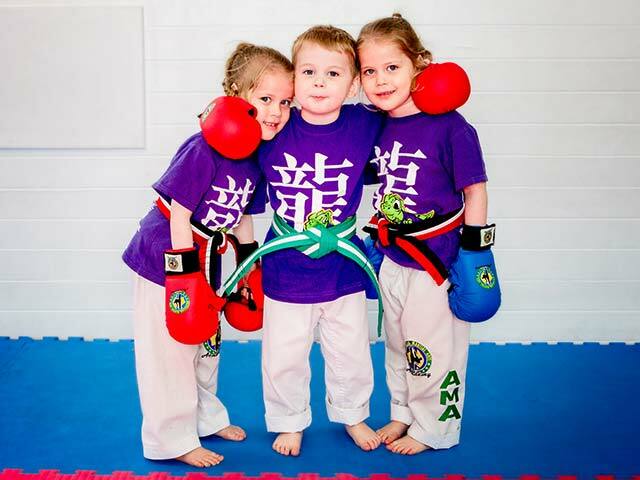 The family classes run in age and ability group with a main instructor giving direction for the whole class and individual groups having their own instructors to take care of the specific needs of the age group and level. At the end of the sessions families get together and challenge their parent in a push, self defence or sit up challenge, which is always a lot of fun. Family classes are a great way for the whole family to enjoy being a family unit, learn new things together and a way for everyone to feel part of the team while getting fit, flexible and strong. 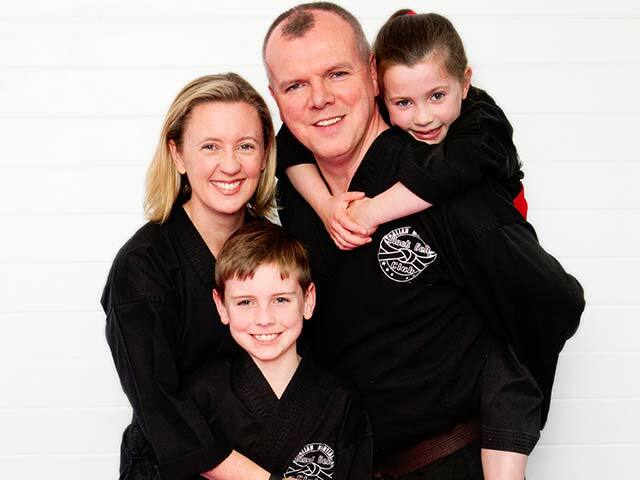 The family that kick together – stick together!